Cormorants are uncommon here. Monday was the first time I saw their breeding plumages. The Double-crested Cormorant is named for its breeding plumage: two tufts of feathers on its head. The eponymous crests might be either white or black. The crests last only a couple of months, primarily during the time spent around the nest. Probably the only place cormorants breed around here is at the south end of the Lake. 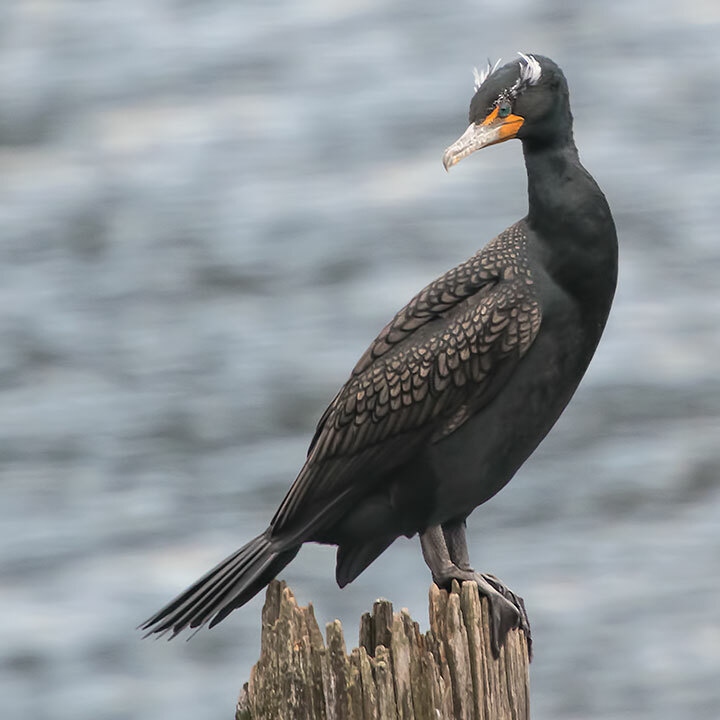 A Double-crested Cormorant shows its eponymous white crests. 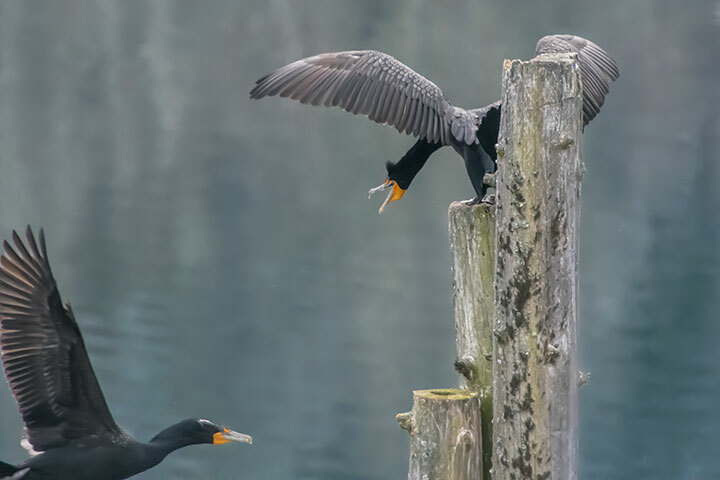 Hidden behind an old piling, a second cormorant with black crests went unnoticed at first. When flying, the cormorant flattens its crests (as does the Great Horned Owl). 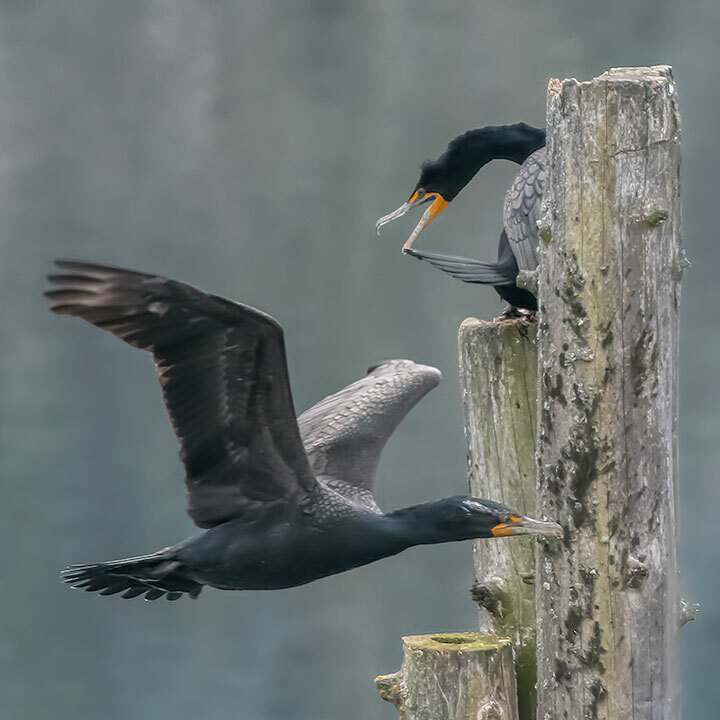 The two cormorants seemed to have a combative relationship. The white-crested bird kept trying to intimidate the black-crested one. It is unclear why the rant. During the time I watched, the flyby happened three times. 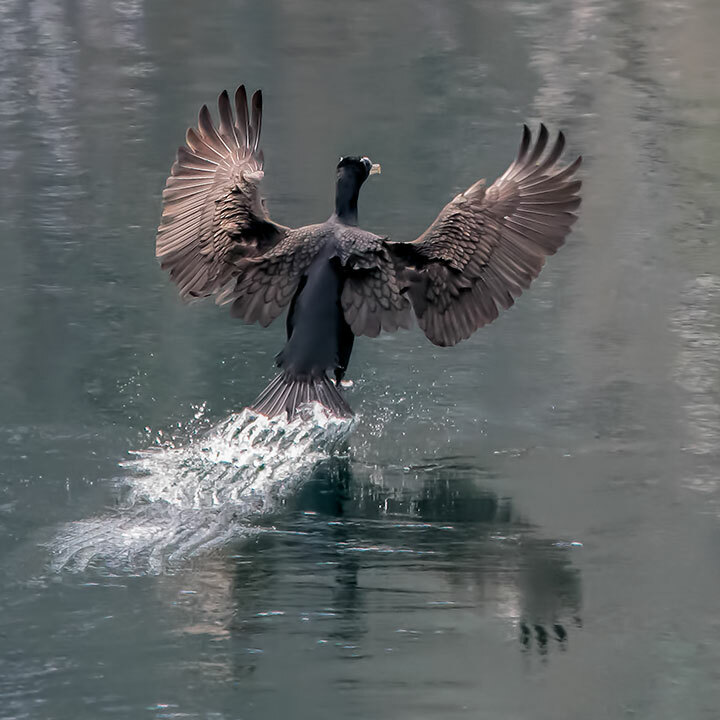 When landing on water, the cormorant drags its spread tail in the water as a brake. As always, Alistair: excellent photos and explanatory notes. Thank you for sharing and educating! Wow! Love all these images and opportunities that otherwise would have been missed. I have seen innumerable Double-crests here in the Lower Mainland, in all seasons, but have never seen the crests so superbly displayed and captured. Superb shots Alistair! Totally sick shots!!! Thank you. Absolutely amazing photos, Alistair. Thank you for these photos and the great info as well. 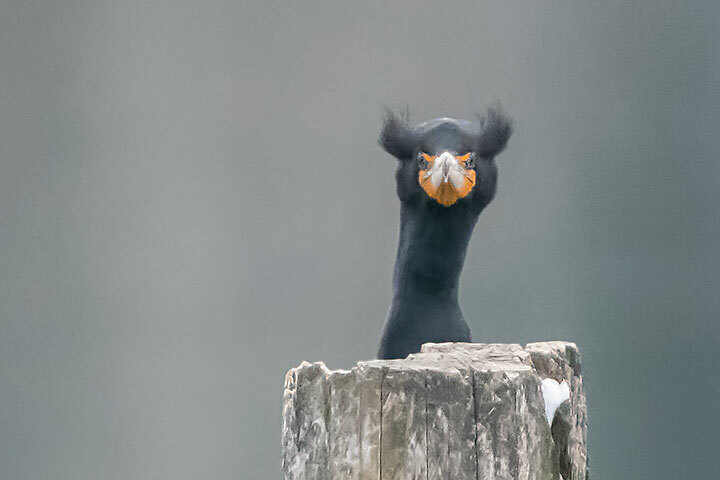 The head shot of Cormorant with the black feathery eyebrows looks more like an animal than a species of bird. Gave us a bit of a chuckle!